Steven (Chicagoland, United States) on 30 November 2010 in Sport & Recreation and Portfolio. 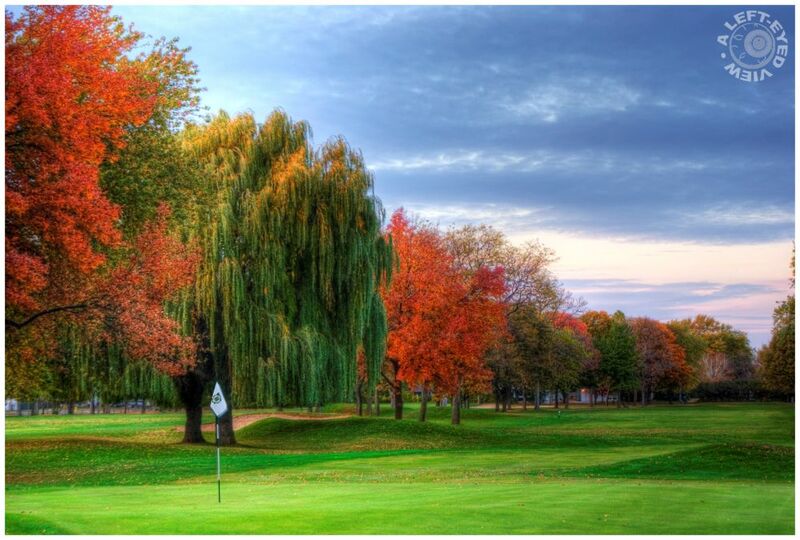 A line of trees with autumnal colors line the west side of the fourth hole fairway before approaching the green in the foreground. Captured at Glen Flora Country Club in Waukegan, Illinois on October 19, 2010. D'une parfaite beauté ....Superbe prise. a wonderful image of fall! will the golfers appreciate it, too? A far more pleasant view than we have in South Shields, golfers won't get outside for at least a week! @Curly: Keep in mind that this was captured on October 19th. We may be getting some flurries tonight. But no accummulation is expected. Whew! Beautiful Steven! We had snow at our house on T'Day morning but it melted away quickly...now we are looking for torrential rains tonight and tomorrow!! Were you golfing too? I can see you with a camera bag over one arm and a golf bag over the other. It might almost weigh even :D Lovely colors! Dang this is making me want to take up golf.